This is a most exquisite ring. 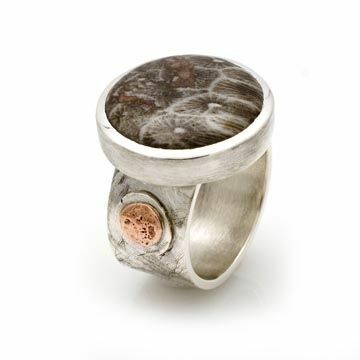 I made it from from sterling silver and placed a beautiful agate gem in the center of this fine ring. It is further enhanced with copper metal and a variety of carefully crafted engravings. The gem is around 20 mm in diameter.